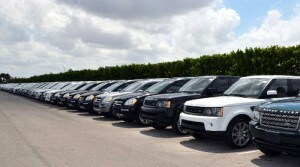 Buying an OffLeaseOnly used car will save you thousands! In an effort to speed up the process, we have bullet pointed the easy to follow steps so this can be the quickest and easiest used car buying experience of your life! OffLeaseOnly used cars are lined up as far as the eye can see outside an OffLeaseOnly dealership. 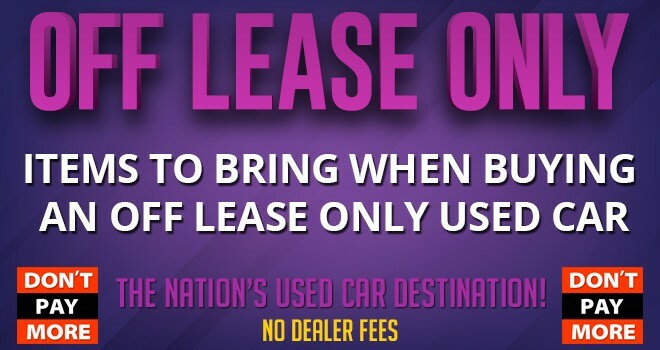 Buying A Used Car at OffLeaseOnly will Save You Thousands! 4. Paying cash? 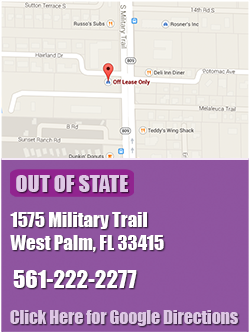 Please note that we accept cash, personal checks, bank/cashier checks or bank wire. 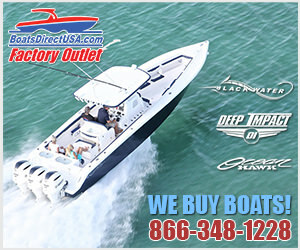 OffLeaseOnly does not accept credit cards, debit cards, business checks, out of state checks and starter checks. 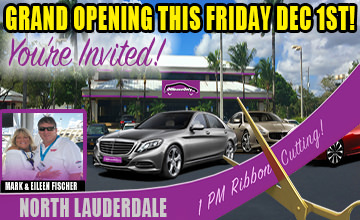 OffLeaseOnly has grown from what once was the best kept used car buying secret in South Florida to the largest volume independent dealer in the Nation! 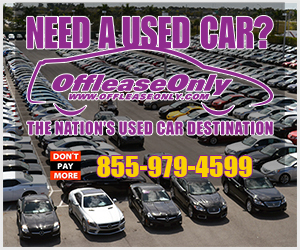 With thousands of used cars for sale all priced thousands below retail, OffLeaseOnly is The Nation’s Used Car Destination! 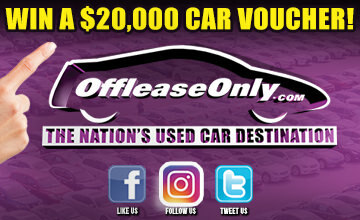 OffLeaseOnly is committed to providing a transparent and stress free use car buying experience with no hidden fees and no stress of negotiating of price. 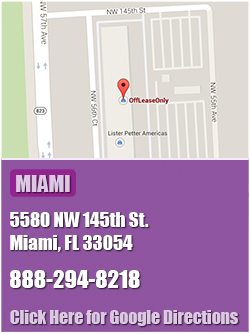 OffLeaseOnly has definitely revolutionized the way consumers purchase used cars. 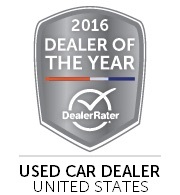 OffLeaseOnly Used Car Dealer honored as DealerRater’s 2016 Used Car Dealer of The Year in the entire United States! With National recognition as DealerRater’s 2016 Used Car Dealer of The Year, an A+ rating on the BBB and being named the 2016 Edmunds Five-Star Dealer, customers feel confident working with such a reputable dealer that genuinely cares about the customer experience before, during and after the sale. We can’t wait to help you find your dream car. If any assistance is needed- please contact CustomerService@OffleaseOnly.com. 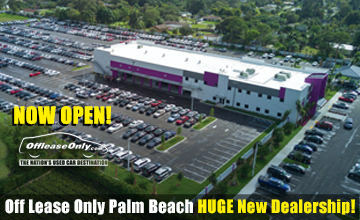 Next Story → Over 4,000 OffLeaseOnly Used Cars For Sale!